I would like for people to share their own personal Freebie Hunting Tips with one another in this thread. ***Create an email account specifically for using in the forms that freebies have you fill out. As much as we wish it were otherwise, not every freebie that we have on this site is legit. We do what we can to protect ourselves from Phishing sites and scams, but it is virtually impossible to weed all the bad ones out. So if you use your "freebie" email then all the is going to be on one box, you won't have to be sorting through emails about online pharmacies in order to find emails from your big sister in Detroit. ***Use a free answering service as the phone number when forms ask you for your phone number. Actually what I alwasy try doing is filling out forms with NO phone number first. Even if the form has a blank for the phone number, often it will still go through without using a number. However some forms will kick back to you without completing the sign up if you do not put a phone number in them. Some people opt to just put a fake phone number in them. However I have found a good answering service that actually records the message and will play it back to you ON YOUR COMPUTER. The website is http://k7.net/ and as I stated it is free. No charges whatsoever. Real simple to use also. Okay, so if anyone has any tips they can give on Freebie Hunting, please share them here!! yep that is what i do. virtually no and i use a fake phone number. i also use my fiance's info so he can get a freebie also. Another good Freebie Hunting tip would be to download a program such as RoboForm or something similar onto your browser, that way when you are filling out forms they are easy easy easy to fill out. The free version of RoboForm lets you keep two different identities. I help my daughter sign up for freebies when she is at work by using this feature. Quick and easy as a click! Here's a tip. I am surprised that mom (deedee) hasn't put it on here yet. She keeps a log book of her freebies that she signs up for. That way she can tell the good ones from the ones that never come. It's pretty looking through her book at all the stuff she has signed up for. I help her cross off the stuff sometimes after her mail comes. And she has some special way of organizing it all so she knows what freebies are what. like she has special marks for magazine subscriptions, and other marks for things she mailed in. Its all confusing to me, but she keeps track. I myself am not that organized. I just sign up and then hope for the best. Actually what I alwasy try doing is filling out forms with NO phone number first. Even if the form has a blank for the phone number, often it will still go through without using a number. However some forms will kick back to you without completing the sign up if you do not put a phone number in them. Some people opt to just put a fake phone number in them. However I have found a good answering service that actually records the message and will play it back to you ON YOUR COMPUTER. The website is http://k7.net/ and as I stated it is free. I use the number to a pre paid cell phone that I don't use anymore. I have 4 cents on it, just enough to keep the number but not enough for calls to go through so it doesn't ring but still works as an active phone number. Allese wrote: Here's a tip. I am surprised that mom (deedee) hasn't put it on here yet. She keeps a log book of her freebies that she signs up for. That way she can tell the good ones from the ones that never come. It's pretty looking through her book at all the stuff she has signed up for. I help her cross off the stuff sometimes after her mail comes. And she has some special way of organizing it all so she knows what freebies are what. like she has special marks for magazine subscriptions, and other marks for things she mailed in. Its all confusing to me, but she keeps track. I do the very same thing !!! I keep track of all my freebies. I've been keeping track since I first began back in 2007. And it works out well. I highlight what comes in pink and what hasn't been hightlight are yet to come if they do. And I put the date of the time I signed up for them, the company or what kind of free it was where I found it if it was Save A Buck or another freebie site..in case I want to look back there for it. And when the freebie does come I put on top ( I do leave a space between freebies on my notebook for this) when it does come I put (Received on 00/00/00 the date and an arrow pointing to the freebie listed. Once I do this anything that isn't highlighted in pink hasn't come yet. See this way I can look back and see what I have I already signed up for in case I see a freebie someone got in there mail call lists...I'll see if I signed up for it and I'll know it's coming to me. Hope this helps. Oh, and do buy now the notebooks are really cheap in the back to school section of Walmart and other stores. I stock up on them. And when they are full I put with a black Sharpie marker on the front of them...for example Freebies From Feb. 2008 through Nov. 2008. And then set them aside just in case for later. Then start in a new notebook but I don't put nothing on the front of the notebook yet until it's full and then you can tell when you started in there by looking at your first page that's where you get your month and year and the same goes for the end of the notebook...the last page ..the last freebie written there check on the month and year. And that is what you put as and ended date for the front of your notebook when your all done. I found this article on a Canadian freebie site and it is a very good article so I have borrowed it and posted it over here. *Too good to be true - Most offers that appear too good to be true usually are. Examine the motivation for the free offer. A free trial size shampoo makes sense because they are trying to sell shampoo. A free vacation is unlikely, unless there are large hidden charges attached. *Suspicious websites- If a website has tons of Google ads and does not look legit to you, just skip it. Also, if a website has the words "free" (Example: www.freestressball.com) in it's address name, it is not a real freebie and is a scam. If a website looks badly constructed, has lots of spelling and grammatical errors, bombards you with downloads or pop ups you should ask yourself - "Do I trust this website with my information and are they really going to send me a freebie?" The answer could well be no. If a website has enough money to send out thousands of freebies - why haven't they spent the same amount of money developing a profession looking website? The answer could be that they have no freebies to give out and only want your details. *URL- If the website URL is from a free hosting domain such as yahoo or tripod, don't take a chance. Surely a real company could afford an address without hosts. *Use an alternative email- when signing up for freebies, it's always good to use a alternative email, not your main one. That way, if you do fall for a scam, it will all go to your other side account and not clog up your main one. I recommend a yahoo or hotmail or gmail account because they have good storage and junk mail filter. *Win-win?- Usually, when the company give out freebies, they do it so people can sample their products and possibly purchase them in the future. 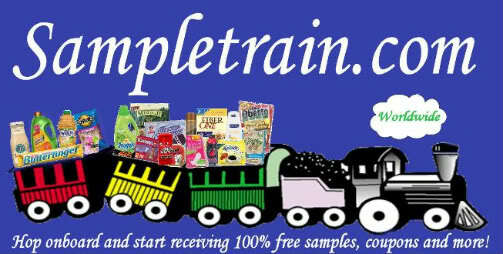 If the website is offering "free samples", look for a link or something back to the company. If there is no link or address, how will customers contact them again to buy products? No company would willing give away thousands of products with no way for contact. *Owner?- Do you know who owns the site? If they are giving away "free dove samples", is URL www.dove.ca? If it's not the actual company offering the product, it is likey a scam. *Don't pay for prizes - If you get email or postal mail proclaiming you the winner of a great prize and all you have to do is pay a fee to claim it, don't. It' s a scam and the only winners are the scammers. *Read the fine print- If the site looks suspicious to you, read their FAQ or Terms of Agreement(if there is one). Does it guarantee that you'll get the freebie or that it is not a scam? If it says it's not affiliated in any way with the product, or anything like that, move on. *Beware email collection scams - Most of the sites that consist of nothing but a form offering free stuff are there to collect email addresses for spammers. These sometimes have long lists of offers or "newsletters" you can subscribe to. If you are tempted to sign up for these, be sure to use a disposable email address. *Banners & Pop-Ups- If the freebie comes to you from a banner or pop-up while surfing the Internet, it's probably best to pass. This is especially true if the freebie advertisement takes you to a website other than homepage of the freebie product being offered. *Survey Scams- Never complete any surveys that state the word "FREE" in the headline. In other words, if the survey states something like "Fill out this survey and you will receive a free $50.00 gift certificate. They are actually trying to find out which products you would be interested in purchasing while you are filling out this long screening process. Do not give them your email address or credit card number. You will receive hundreds of junk mail everyday, and still not receive your $50.00 gift certificate until you purchase at least $400.00 of merchandise! *And remember: Always research any paid survey site by researching scams and or, place the name of the company in your browser and use the word "scams" beside their name. This should tell you whether or not this company is a scam artist. *Also if the freebie is from some unheard of company, and the site has no way for you to actaully order their product, its likely a spam site. Companies send out freebies in the hope you will like and later buy their product; if there's no way for you to purchase their stuff should you choose to, odds are you won't be getting a freebie! *Just put these tips together with your own common sense and you can enjoy the legitimate offers and avoid the free stuff scams. *ALSO* http://www.60-seconds.com/articles/130a.htmlTen tips you're about to be ripped off. Lots of helpful tips that also apply to registering for freebies. *ALSO* www.who.is A good site to find out who is the owner or the host of the website!